What is Facebook Zynga Poker? 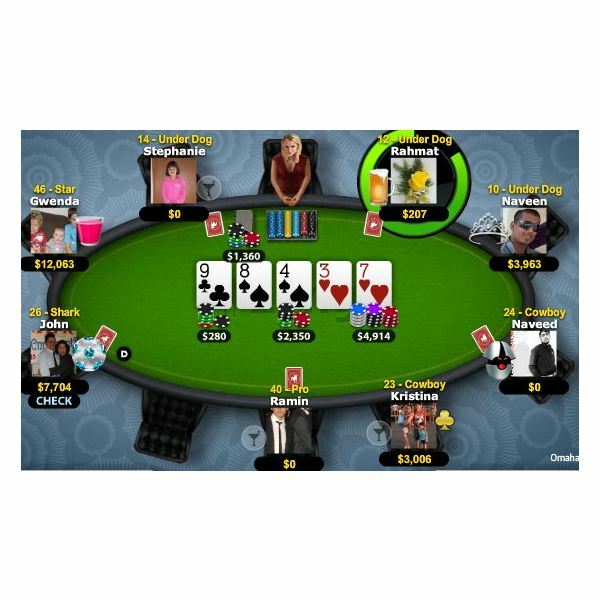 Facebook Zynga Poker is the world’s most popular poker game. Players can play quick games of poker, take poker challenges and join weekly poker tournaments. With the help of Facebook’s social network structure, players can send poker chips to their friends, as well as play with them in real time. Free poker chips are given to players at most once a day as a prize for logging into the game. The game only requires the player to have a Flash-enabled browser to play it. There are no installations of software required and the player can log in without making any purchases or paying any fees. 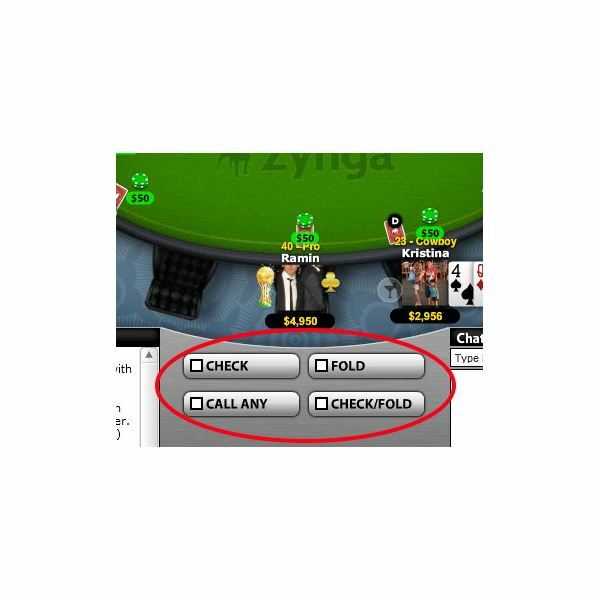 How To Play Facebook Zynga Poker? The Zynga Poker game is about winning as many poker chips as you can. Winning is based from the set of cards or poker hands formed. 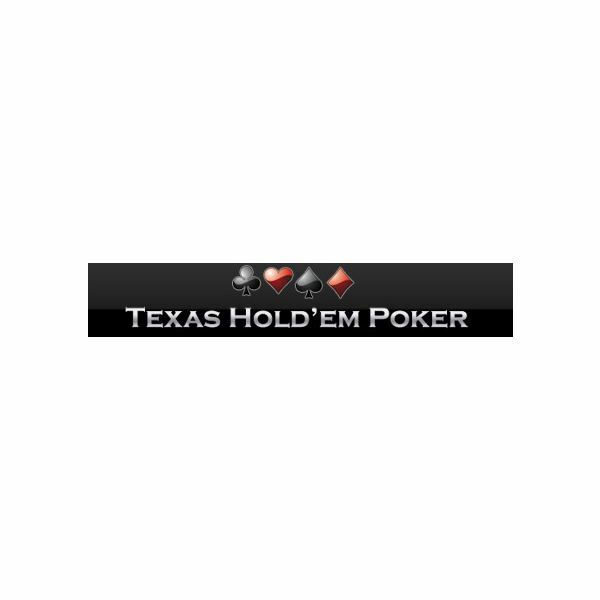 Poker hands are the following from the best: Royal flush, straight flush, four of a kind, full house, flush, straight, three of a kind, two pairs, one pair and no hand. If the players don’t have any of the mentioned patterns, then a player with the highest card wins. Each player is given two cards which are facing down known as hole cards and of course, your pair of cards are visible to you. Community cards are five shared cards which will be placed in the center of the table. With your hole cards and the community cards, you create your own pattern of five cards. There are four options in betting namely call, check, raise and all-in. The first bet always starts with the minimum bet. A player use the check button if he is not willing to raise his bet provided that previous players did not raise their bets. Three community cards will be revealed after the first round. Minimum bets will be gathered at the center as the pot money. The remaining two community cards will be revealed one at a time in the succeeding rounds. If one player raise his bet, the next player have an option to call which means that he will match the raised bet and continue the round. If a player do not wish to continue the round, he can choose to give up by checking the fold button and lose his previous bets. All-in means betting all your money in the table. If you win, you get all the pot money in the center but if you lose, you can still continue as long as you still have enough poker chips with you. If you lose all your Facebook poker chips, you can ask other players to give you poker chips as gift but it’s not easy because other players also hold on to their own chips to play more. You can also wait for the next day to receive the random amount of poker chips for logging in. However, if you can’t wait for the next day and can’t convince anyone to give you poker chips, then you can always use the Facebook Poker Chips Paypal or credit card payment mode to buy instant Facebook poker chips. In purchasing Facebook Zynga poker chips, you must only trust Facebook Zynga Poker payment process. Any other source of poker chips for this application is fraudulent. 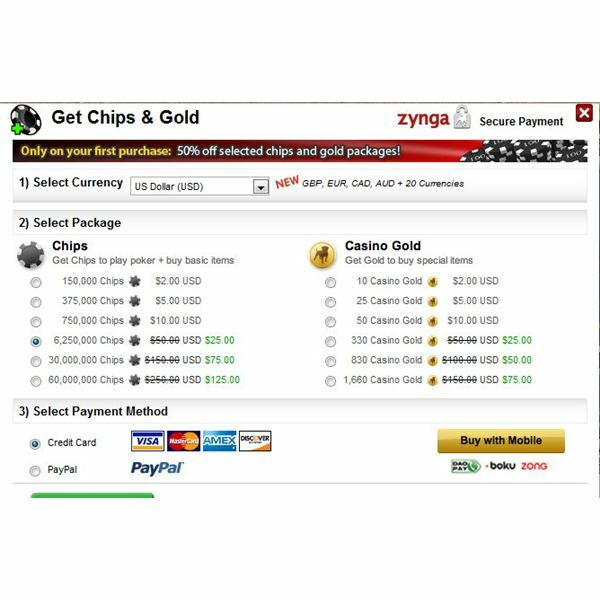 To purchase poker chips, you just need to click on the Get Chips and Gold tab on the game’s page. Choose your desired number of poker chips with the corresponding price from the package. You can pay using your Paypal account or credit card. After the payment is completed, your chips will increase instantly.